The Asian Football Confederation’s Technical Study Group (TSG) has praised Việt Nam for their impressive display at the Asian Cup in the United Arab Emirates. Việt Nam entered the knock-out stage as one of four best third-placed teams. They defeated Jordan in the last 16 round before losing to Japan in the quarter-finals. The TSG gathers experienced analysts who are assigned to analyse all 51 matches of the Cup and produce a report at the end of the tournament. 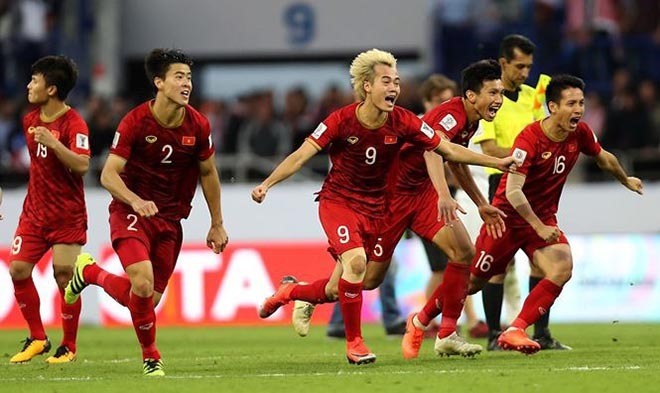 “Việt Nam, along with other contenders such as Thailand, Jordan and Kyrgyz Republic received due credit from the Technical group for demonstrating that they could be competitive at continental level,” said the AFC.